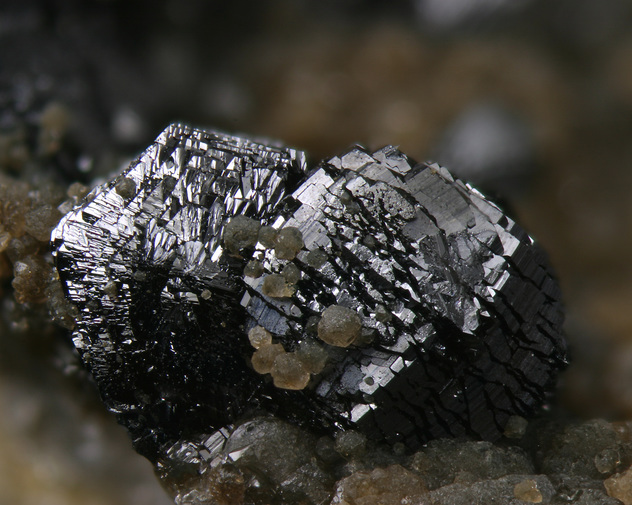 Groutite: Mineral information, data and localities. 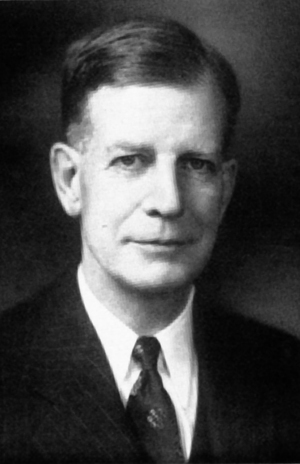 Named in 1945 by John W. Gruner in honor of Frank Fitch Grout (August 1, January 24, 1880 Rockford, Illinois - August 1, 1958 Minneapolis, MN), petrologist, University of Minnesota, USA. Graph shows reflectance levels at different wavelengths (in nm). Top of box is 100%. Peak reflectance is 13.7–22.0%. ICDD 24-713 (Cayuna Range, Minnesota, USA) plus 51 lines of 1-4 intensity to 0.8227; see also ICDD 12-733 but with estimated intensities. Petrified Wood 14 photos of Groutite associated with Petrified Wood on mindat.org. Calcite 9 photos of Groutite associated with Calcite on mindat.org. Baryte 7 photos of Groutite associated with Baryte on mindat.org. Vesuvianite 4 photos of Groutite associated with Vesuvianite on mindat.org. Hureaulite 3 photos of Groutite associated with Hureaulite on mindat.org. Kutnohorite 3 photos of Groutite associated with Kutnohorite on mindat.org. Ramsdellite 2 photos of Groutite associated with Ramsdellite on mindat.org. Aragonite 2 photos of Groutite associated with Aragonite on mindat.org. Manganite 2 photos of Groutite associated with Manganite on mindat.org. Quartz 2 photos of Groutite associated with Quartz on mindat.org. Fleischer, M. (1948) New mineral names. American Mineralogist: 33: 384-386. Collin, R.L. and Lipscomb, W.N. (1949) The crystal structure of groutite, HMnO2. Acta Crystallographica: 2: 104-106. Dent Glasser, L.S., Ingram, L. (1968) Refinement of the crystal structure of groutite, α-MnOOH. Acta Crystallographica: B24: 1233-1236. Majmundar, H.H. (1969) Ramsdellite and groutite from Nova Scotia. The Canadian Mineralogist: 9: 718-720. Kohler, T., Armbruster, T., Libowitzky, E. (1997) Hydrogen bonding and Jahn-Teller distortion in groutite, α-MnOOH, and manganite, γ-MnOOH, and their relations to the manganese dioxides ramsdellite and pyrolusite. Journal of Solid State Chemistry: 133: 486-500. The following Groutite specimens are currently listed for sale on minfind.com. Majmundar, H.H. (1969) Ramsdellite and Groutite from Nova Scotia. 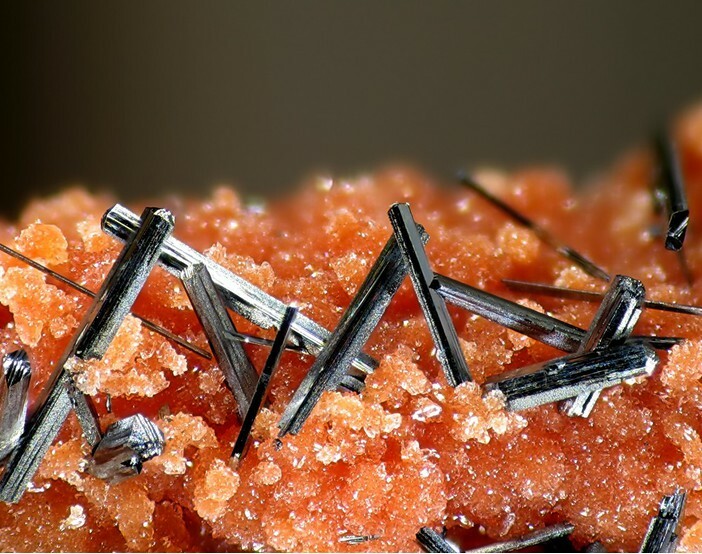 Canadian Mineralogist: 9: 718-720. R.W. Boyle, "The Geology, Geochemistry, and Origin of the Barite, Manganese, and Lead-Zinc-Copper-Silver Deposits of the Walton-Cheverie Area, Nova Scotia", Geological Survey of Canada, Bulletin 166, 1972. Perseil, E. A. (1967): Manganese mineralization of the Upper Devonian in Las Cabesses (Ariege). Comptes Rendus du Congres National des Societes Savantes, Section des Sciences 91 (Part 2), 313-321. Castellaro, F. (2008): 160 volte Cerchiara. Prie, 4, 115-130.
ⓘ Virgen del Carmen Mine ? Anthony, J.W., et al (1995), Mineralogy of Arizona, 3rd.ed. : 240; Galbraith, F.W. & D.J. 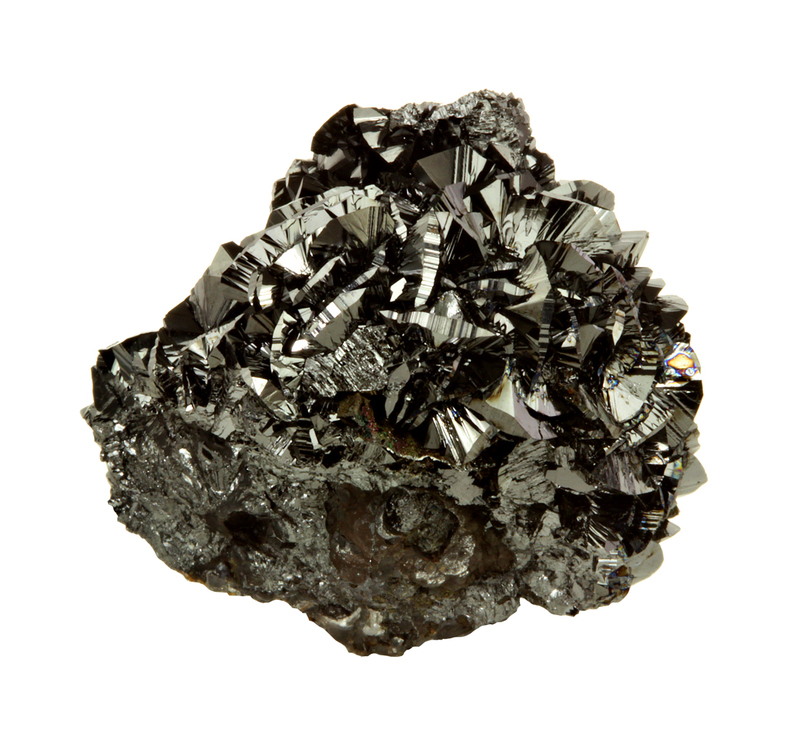 Brennan (1959), Minerals of AZ: 38. Anthony, J.W., et al (1995), Mineralogy of Arizona, 3rd.ed. : 240. Anthony, J.W., et al (1995), Mineralogy of Arizona, 3rd.ed. : 240, 339, 398. Anthony, J.W., et al (1995), Mineralogy of Arizona, 3rd.ed. : 240; Cousins, N.B. (1972), Relationship of black calcite to gold and silver mineralization in the Sheep Tanks mining district, Yuma Co., AZ, AZ State Univ. M.S. thesis. American Mineralogist (1947): 32: 654-659. Min.Rec. : 20(5):390; 21:97; Rocks & Min. : 62:319. Klein, C., Jr: Am.Min. :53:1417 (1968); Klein, C., Jr. & Frondel, C.: Am. Min. :52:858-860 (1967); Dunn(1995):Pt4:593. Sangameshwar, S. R., & Barnes, H. L. (1983). Supergene processes in zinc-lead-silver sulfide ores in carbonates. Economic Geology, 78(7), 1379-1397.